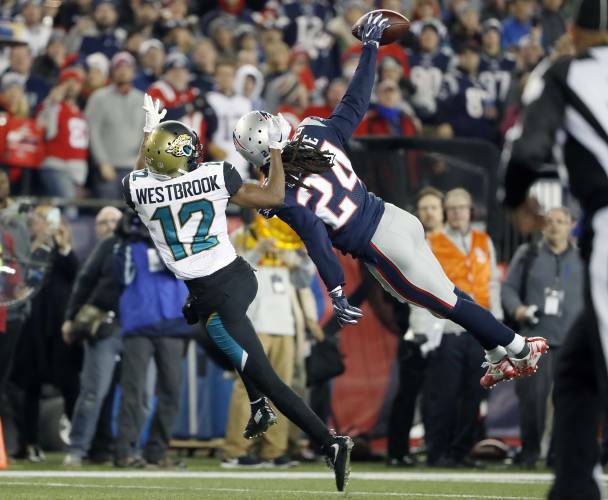 Florida National NewsJacksonville NFL SportsAFC Championship Rematch: Can the Jaguars Defeat the Patriots? JACKSONVILLE, Fla. (FNN SPORTS) – The Jacksonville home opener is nothing short of highly anticipated. As the Patriots travel down to Florida for the week 2 game, also known as the AFC Championship rematch, fans are eager to see Sunday’s results. The last time these two teams saw each other it was a neck and neck game that turned into a tough loss for the Jaguars even though they held the lead against the Patriots until the early 4th quarter. Once the 4th quarter was underway, the Patriots–or should we say Tom Brady–did what he does best: home in on his play makers and last-minute touchdowns. So, what should we expect Sunday? Both teams are dealing with injuries and losses of important players. The Jaguars lost Marquis Lee for the season with a torn ACL and Fournette is listed as questionable after battling a hamstring injury last week. As for the Patriots, they lost Jeremy Hill for the season and Sony Michael is questionable versus the Jaguars. Furthermore, the Patriots have lost play maker Danny Amendola to the Dolphins and their other ole reliable, Julian Edelman, is suspended, leaving Chris Hogan, Rob Gronkowski, and James White as Brady’s main weapons. In the AFC Championship the Jaguars had Jalen Ramsey covering Gronk for the majority of the game and Ramsey was quite successful at minimizing Gronk as an option. It may be safe to say the Jaguars will return to that coverage plan. Where Jacksonville struggled in the AFC Championship was on offense. Bortles took a beating, especially from defensive lineman Trey Flowers. Bortles, who was playing with an undisclosed wrist injury, was not very well protected. If the Jaguars can protect Bortles and give more time in the pocket, Jacksonville could potentially redeem themselves from the tough January 21st loss. Although Jacksonville maintained the majority of their dominant defense from last season, the Patriots do have their shutdown corners, Gilmore and Rowe, whom we have seen Belichick utilize effectively in a shadow coverage. However, the Jaguars defense is stronger and, if not on the field too much, can help the Jaguars seal the deal. All in all, it’s safe to say we are probably looking at another close game this Sunday! Stay tuned with us at Florida National News as we bring you coverage of this exciting game from TIAA Bank Field at 4:25pm Sunday.